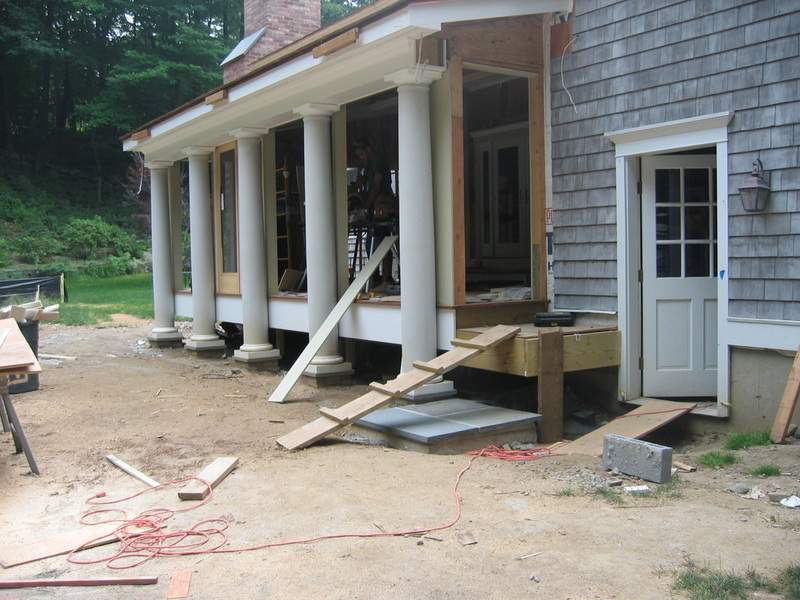 _When the owners of this home were building an addition, they knew they were going to be spending a lot of time on their new four-season porch. 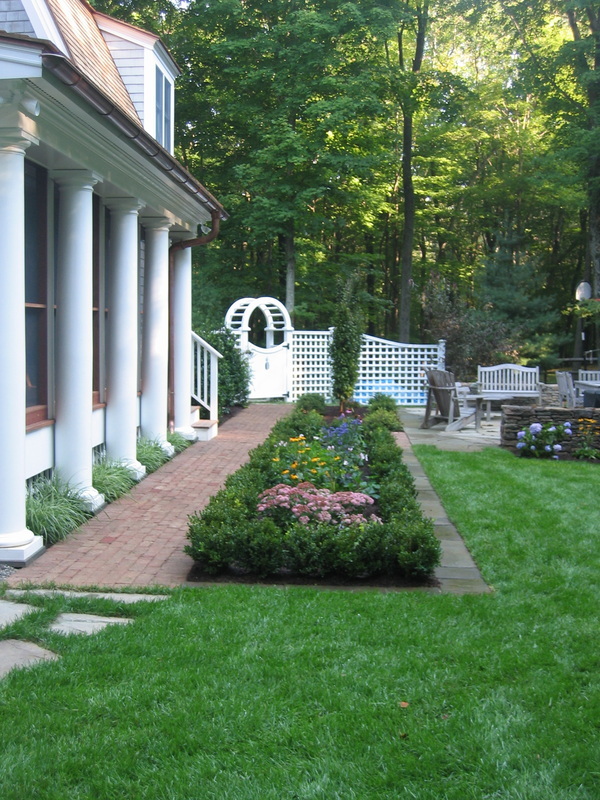 During construction, they quickly realized that they they wanted a garden to help them bring the outside in. _We designed a space that would be admired from the inside of the porch looking out, as well as a place outside to surround yourself with nature. 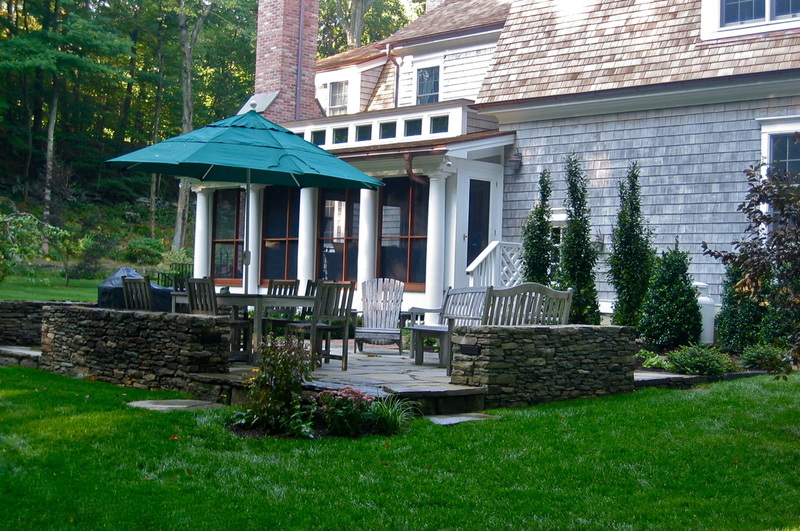 Brick paths connect to a flagstone patio. 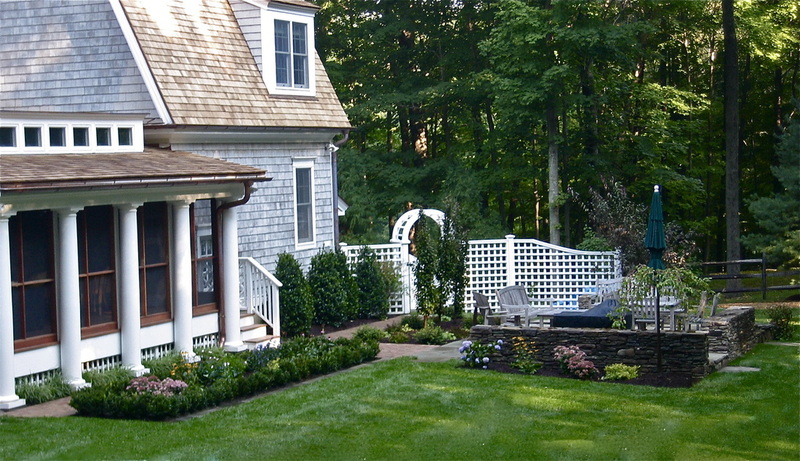 The patio is separated from the driveway and parking area by an open latticework fence and gated arbor entry.